Managed by a brand new, fun-loving team, we’re the perfect hostel to accommodate you on your adventure to Sydney! 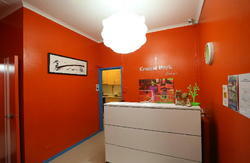 We’re a recently renovated hostel in the centre of the bustling Kings Cross area. Just two train stops or a short walk away you’ll find Westfield Tower and shopping centre, Darling Harbour, Hyde Park and an array of other city attractions. Two stops in the other direction, you’ll find the world famous Bondi Beach and beautiful coastal walks. Right on your doorstep you’ll find a tasty selection of bars and clubs in the popular backpacker district. Here are some of our amenities that we like to brag about: free WI-FI Internet around the clock, free continental breakfast, tea and coffee all day, and a chilled-out Saturday BBQ in the courtyard followed by pancake Sundays. We offer a free airport shuttle service to guests staying 4 nights or longer (pick up only) making your airport transfer super simple. 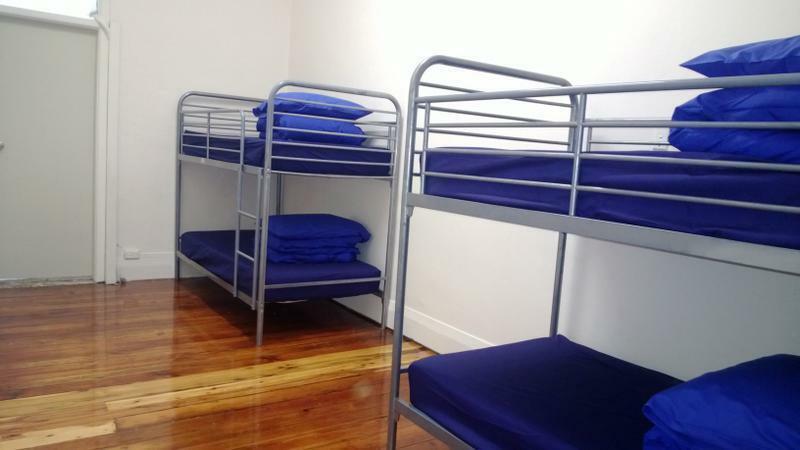 We have a fully equipped kitchen, recently renovated bathrooms, plenty of showers (so you’re never waiting around), washers and dryers for all those travel-worn clothes, and three communal areas where you can relax or party. Common areas include the ‘Blue Room’ party lounge, a 24-hour TV room with Foxtel around the clock, and our own private courtyard. We organise events every night so make sure you check out the notice board, see what’s going on, and get involved! Shuttle Bus – This will take you right to our front door. Once you arrive at the airport, call the shuttle service on +612 9661 1170 and they will arrange to meet you. If you have booked for 4 or more nights, we will pay for this shuttle service for you (Airport to Hostel only). Please contact us either by email or telephone one day before you are due to arrive. Please note that the last shuttle bus leaves the airport at 7 pm. Train – Follow the signs through the departure plaza of the airport to the Train Station. Purchase a train ticket to Kings Cross Train Station (cost $15.90/$16.70 (domestic/international) for adult one way or $11.40/11.80 (domestic/international) for concession one way). Take the Airport and East Hills Train Line on Platform 2 and after 2 minutes, exit the train at Wolli Creek. Make your way to the Eastern Suburbs and Illawarra train line (Platform 3) and after 20 minutes you will arrive at Kings Cross Station. From here, cross the road, turn left and we are located 100 m away, directly opposite McDondalds. Taxi – We do not recommend this option due to the cost (~$50). If you are desparate, tell the taxi driver to take you to 40 Darlinghurst Road, Kings Cross. All Taxis are fitted with GPS devices so they will know how find it. Be aware that sometimes taxi drivers will ask you which way to take to determine whether you are familiar with the city or not. If you say you don’t know, they may take you for a long journey to increase the price. Tell the driver to take “Southern Cross Drive” and you won’t have a problem. Train – Take the Eastern Suburbs and Illawarra train line from platform 24 and after 10 minutes you will arrive at Kings Cross Station. From here, cross the road, turn left and we are located 100 m away, directly opposite McDonalds. Walk – This is a 3 km walk and should take about 30 minutes. Follow the signs to the Chalmers Street exit. Turn left and walk up Chalmers St, heading south-east. After 400 m, continue onto Elizabeth Street. Slight right on Wentworth Street. After 500 m, turn right onto Oxford Street, and then stay left onto Liverpool Street. After 700 m, turn left onto Darlinghurst Road. After 600 m, we are located on the right, directly opposite McDonalds.